Your asphalt driveway takes a major beating every day. 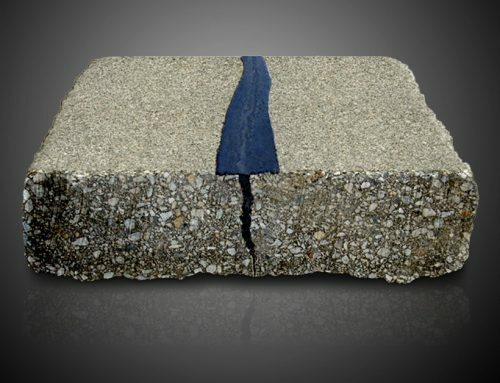 Not only does it get daily use from cars, but heat and UV sun rays break down the asphalt binder, making your driveway fall apart, and expose the aggregate, leading to further damage. Water and ice can get into the pavement and cause it to crumble too. Everything from salt and oil to gas or grease slowly but surely wear out your asphalt driveway. Without the proper protection of a surface treatment, your driveway will become a crumbled mess with cracks, splits, and fissures. That’s why it’s recommended to treat your asphalt driveway every three to five years. It will leave your driveway looking better, protect it from damage, and make it last longer. Are You Choosing the Right Product? Once you’ve decided to put a surface treatment on your asphalt driveway, you’ll want to start off with choosing the right sealant. But what product will you use? 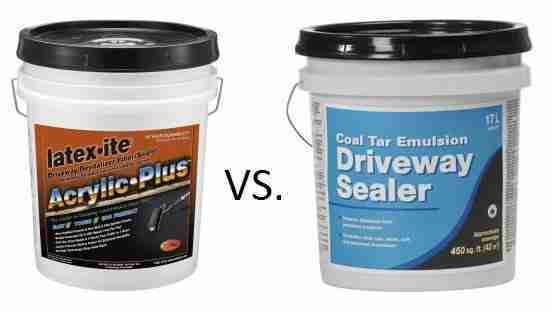 There are a few different things you’ll need to consider when purchasing your asphalt sealer. The hard truth is that the sealing materials available for DIY are just not as good as those available to contractors who can buy in bulk. Professional grade sealers are almost always cheaper than DIY products too. But DIY products are fine if you dont have access to the good stuff. Most large cities have an asphalt products distributor that works mostly with contractors. 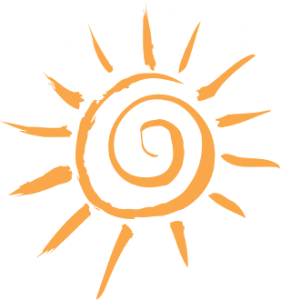 You may be able to purchase from them and use professional-grade sealers. Just remember that these products come in bulk. You will likely need a large tank or bring your own buckets. As a reference, when you buy asphalt sealer from your local hardware store you’ll be getting 5-gallon buckets that typically cover 300-350 square feet each. If you really want to use top of the line product, you can try to coordinate with your neighbors or friends and use your bulk buy to seal several driveways at the same time. The asphalt sealers locally available fall into to primary categories: rejuvenators and seal coats. Lots of people ask “which product is better?” The truth is that both products have different strengths. When it comes down to the two types of products, seal coat is the most popular. 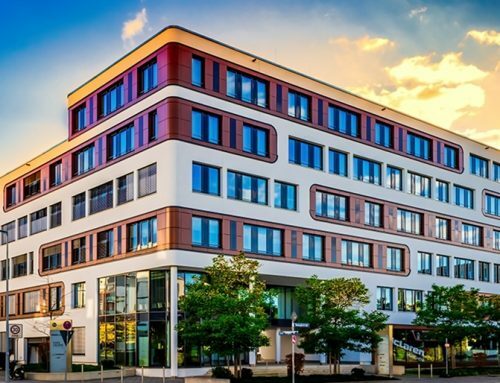 Seal coat lasts longer and is more resistant to traffic abrasion. It also has sand in it which improves traction. Seal coat is better for air quality since it doesnt emit high levels of volatile organic compounds (VOC’s) which rejuvenators often do. Seal coats smell better and are less of a skin irritant. If you put to many layers of seal coat on, it starts to peel, like a house with to many layers of paint. Rejuvenators have great benefits too. 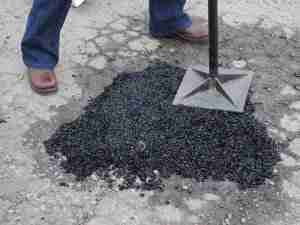 They are great for old, dried out asphalt because they add necessary oils lost to oxidation back into the asphalt. They soak into the pavement, also basically eliminating risk of delamination, which seal coats sometimes do. As a side note, please be cautious that you do in fact have an asphalt driveway and not one made of concrete. Asphalt sealers are not intended for use on concrete and there are many products available for you if you do indeed have a concrete or masonry driveway. Just check the product label to make sure that you are using the right sealant for your project. If you need help deciding which product would be best for your asphalt, Top Job Asphalt’s experts can help. 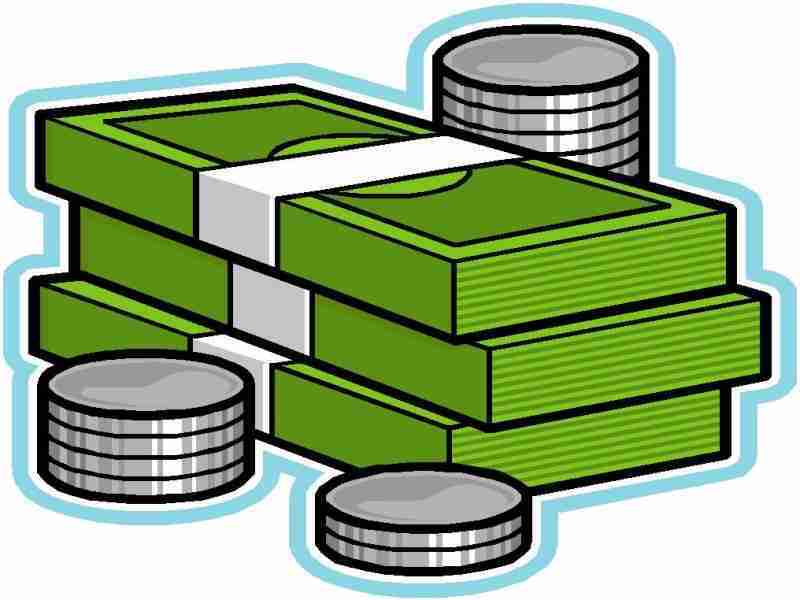 How Much Should You Be Paying for Seal Coating? Rejuvenators tend to be a lot more than seal coat per gallon, but is put on thinner, so the cost per square foot is about the same. 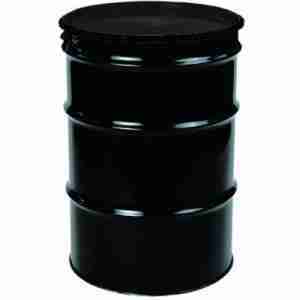 Obviously buying contractor grade in bulk is cheaper, unless you only need a few gallons. Then you should just run to the store and buy a bucket or two of DIY sealer. 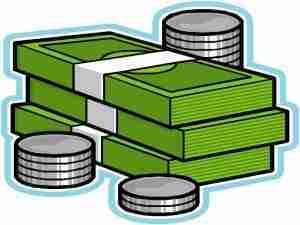 Typical bulk pricing on contractor grade sealers is about $2.50 per gallon for seal coat, and $5.50 per gallon for rejuvenator. For DIY sealers, $20-$30 will get you an entry level 5 gallon bucket of sealer, while $30-$40 will get you a premium sealer. Once you’ve selected the best product to seal coat your driveway with, you’ll need to handle some preparations before getting to the actual application. First, start with a very thorough inspection of your driveway. You’ll want to check every square foot and take note of any and every crack, oil stain, potholes, or areas that are crumbling. Pay special attention to the end and edges of the driveway. These areas are especially prone to damage. If you found any oil or grease stains you’ll want to clean them away with hot soapy water and a stiff bristle scrub brush. If that doesn’t work simply use a degreaser (such as Oil Eater or Krud Kutter) that you can pick up from the local hardware store to dissolve the stain. It may not go away completely, but it should get much better, and the sealer will be more likely to stick. As for any cracks you’ve found, if they’re all less than an eighth inch wide you can simply use a filled sealer to coat your driveway. That will take care of the cracks and serve as a top coat. If they’re larger you’ll want to fill them since they’ll only grow wider and longer over time. There are several different types of products available for filling cracks in your asphalt driveway and all are relatively easy to use. The product that you want to use will be determined by the width of the cracks in your driveway and include ones that come in pourable liquid squeeze bottles, caulking tubes, and preformed rolls. If the asphalt cracks in your driveway are at their largest a quarter inch wide most liquid fillers will be up to the job of properly filling and repairing them. For wider cracks between one-quarter and one-half inch, you’ll want to use an asphalt repair caulk or roll-type filler. For wide cracks larger than one-half inch, stuff foam backer rod into the crack and then apply caulk or roll-type filler. It may take several applications to get cracks full. Whichever product you end up using, make sure you read and follow the manufacturer’s instructions for best results. The end result that you’re aiming for is for the filled crack to be flush with the surface of the driveway. It’s also important that before you apply any type of filler that you clean the cracks of loose dirt, grass, pebbles, or whatever may be in there. Using a wet or dry vacuum or a tool (i.e. slotted screwdriver, awl, etc.) to remove the debris usually works great. If your driveway’s cracks have become potholes you’ll be able to fix them with a patch. You can repair potholes, deep depressions, and crumbled areas with a blacktop patch, which is also known as a cold patch. This is essentially ready-to-use asphalt that comes in a bag. Clean the area first and be sure to remove any pieces of loose asphalt using a brush or vacuum. Make sure the bag of blacktop patch is not hard or frozen. It should be broken up and loose material (which you can do by dropping it on the ground a few times and rolling it back and forth). Use a shovel to spread the blacktop patch about 2 inches deep across the hole then compact the area with a hand temper. Add more cold patch, if necessary, and compact the area again. Repeat this processes of filling and compacting until the hole is completely and even slightly overfilled. Next, drive your car back and forth over the filled patch until it’s compressed and flush with the driveway. If the patch has sunk below the surrounding surface, add more blacktop patch and repeat until the patch is properly flush. Your new patch will take at least 24 hours to cure and set. You’ll want to prepare the areas along your driveway to ensure that the sealant doesn’t damage anything. Trim any shrubs next to the driveway and edge along any turf as well. Tape all surfaces along the driveway you don’t want sealed, like your garage, carport, any concrete surfaces, brick, or gutters. For neater edges you can apply the asphalt driveway sealer with a dry brush. The last step in preparing your driveway for a seal coat is to thoroughly clean the driveway. Begin with a push broom and sweep away all the debris and then use a garden hose to rinse the surface clean of all loose dirt and grit. If you have a pressure washer available to use, it’s all the better. For all parts of this cleaning process, start at the highest end of the driveway and work downward towards the edges. Once the driveway is completely clean and dry you can check the weather forecast to make sure you’re ready to apply your driveway seal coat at the best time. 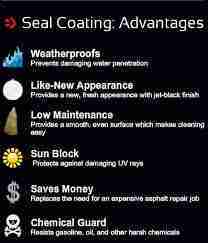 Is Your Seal Coat Doomed to Fail Before You Even Begin? Before applying the driveway sealer, you’ll want to become familiar with your specific product and how to properly use it. Generally though, there are things you’ll need to keep in mind when preparing your driveway for sealing. The conditions around applying driveway sealer must meet certain guidelines. Otherwise, the seal coat won’t properly take to produce the best results for protecting your driveway. The asphalt sealer cures in just a few hours, but the driveway cannot be used (other than foot traffic) for 24-48 hours. So keep this in mind and make any needful accommodations. The temperature outside must be at least 60* F or higher for the 24 hours before and after laying the sealer. If there’s any rain forecasted within 24-48 hours before or after your planned application, you’ll need to reschedule for a drier time. You’ll want to take into account if you live in an area prone to morning dew or fog. If so, make sure you’ve completed your project before 3 pm to prevent wash-off. If you’ve done other projects or repairs on your driveway, such as any crack seal or pothole repairs, you’ll want to give those at least 4 weeks to fully cure before applying a seal coat. These things might seem like annoying restrictions to consider when planning your asphalt sealing project. But they’ll ensure that your sealant properly takes to the asphalt. Thus, resulting in long lasting protection. Once you’re prepared to start applying your seal coat, read over the product’s specific application instructions carefully. It’s crucial that you use the exact tools and methods that the manufacturer recommends. Each sealant is very different and you want your application to be as successful as possible. In most cases, your sealant will be applied with a long-handled tool. 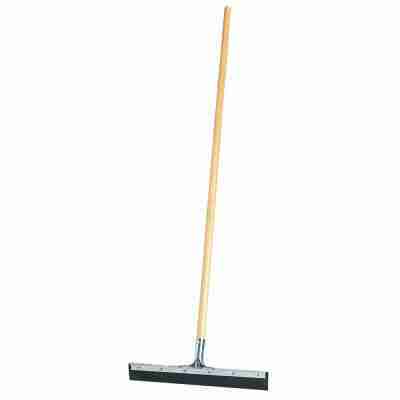 These have a flexible rubber squeegee on one side and a short, stiff bristle brush on the other edge. The squeegee blade is used to spread the product around. The bristle brush end helps to even it out. Again, it’s important to follow the manufacturer’s recommendations and instructions, but here’s how asphalt driveway seal coat is generally applied. You should know before you begin, that sealing is a non-stop process. It should be fully completed once it is started, with no interruption or breaks. The material dries quickly and you need it to bind to the segments it will connect to. Plan ahead and place full buckets of sealer every 350 square feet to avoid having to stop and restart your application. You’ll want to begin at the top of your driveway, starting near the garage or carport, and work your way down towards the street. Open the product bucket and start by pouring the sealer from one side of the driveway to the other. Pour in a six to twelve-inch wide ribbon. Then, push and pull the sealant with the proper tool (your squeegee or paint roller) to thinly cover an area about 3 feet wide by the width of the driveway. Repeat this process and overlap each section as you progress, until you have covered the entire driveway. When seal coating a driveway it’s almost always best to apply two thin coats, rather than one thick one. This allows the product to dry more evenly and provide a better-looking finish. Your product should specify if a second coat should be applied immediately or after letting it dry (typically six to twelve hours). Apply your second coat in the same manner. Make sure that the coats overlap and cover 100% of the asphalt surface. Once you’re finished, use the empty buckets and bright ribbons to block the driveway till it is completely dry. This usually takes 24 to 48 hours. Once your driveway has completely dried you can enjoy your beautiful newly seal coated driveway. It will be much better protected and prolong the lifetime of your asphalt. If you want all the benefits of a properly seal coated driveway, but aren’t interested in doing the work yourself, call Top Job Asphalt! 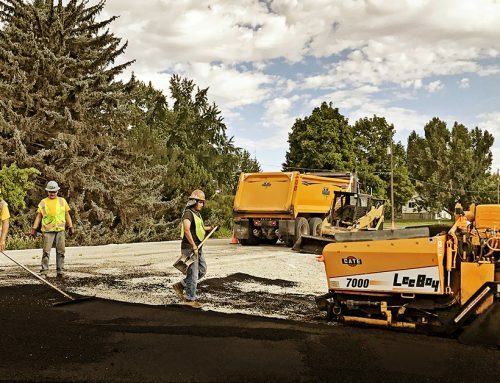 We’ve been experts in the field for over 10 years and are happy to give you a free bid on any of your residential or business asphalt projects. We specialize in asphalt paving, maintenance, and repair. Call us today at (435) 764-0451. We are looking to increase the property value of our home and think that this will be possible through sealcoating our driveway. It is good to know that one should start this project at the top of the driveway. I was also unaware that one should pour the product bucket in a six to twelve-inch ribbon. I appreciate the tips, we will put them to good use. You’re right. Our driveways take quite the beating each and every day. It is important that we properly maintain them if we want them to last a long time. Having a driveway in good condition can add considerable value to your home. I want to make sure that I take care of my asphalt driveway. It makes sense that I would want to have it seal coated! That way I can ensure that it lasts longer. It might be best for me to have a professional to handle that for me, since I wouldn’t even know where to start. I didn’t know that sealants should be applied with long-handled tools until I’ve read it in your article. I tried doing the asphalt repair myself, and I don’t think that I did a very great job. Now that it’s showing problems yet again. I think it’s better that I get a reliable contractor to help me with the job. Thanks for the tips. I’ll let my husband know about this, and make a plan afterward. Excellent article on the in’s and out’s of laying pavement. 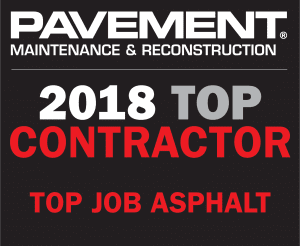 As professional Asphalt Contractors in Chicago, we’ve become accustomed to cold weather jobs, and how to complete these jobs maintaining the integrity and strength of the asphalt. We’ve since moved to Austin, TX and are eager to improve your pavement problems. Very good article about asphalt pavement. Best asphalt plant can produce best asphalt for your asphalt driveway. Thanks for the tip about how much you should be paying to seal coat your driveway. It would make sense to know the average cost of a service before you actually decide to use it as well. I would imagine that a professional service is probably going to help you get the best quality of service as well. Great article! I think you really explained to how thoroughly seal your driveway and make it look beautiful. I appreciate it. I recently had my driveway sealed by a company and it ended up looking awful since they weren’t aware how rain could impact the sealing process. 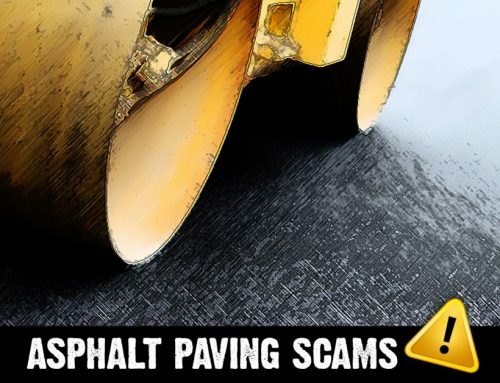 After seeing the damage to my driveway I was so disappointed searched online tips on how to seal your asphalt driveway because I was curious what was involved in case I felt like tackling the project. While looking online I found this article https://housetipster.com/housetips/497/heres-the-deal-on-sealing-your-asphalt-driveway which gives some tips on how to seal your driveway. I found it very helpful. Luckily, I was able to have my driveway redone by another company under the right weather conditions and it turned much better! I want to reseal my driveway this spring. I like your point about how you need a full bucket of sealer for every 350 square feet. I’ll be sure to measure everything so I buy enough. 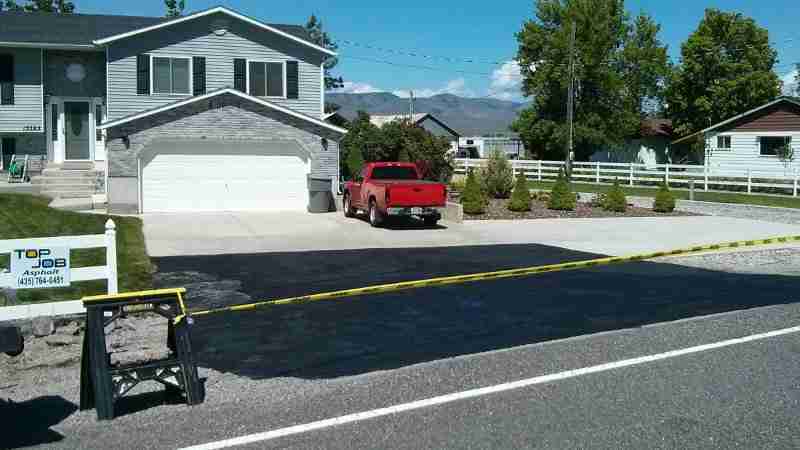 Thank you for explaining how an asphalt driveway can be sealcoated. It’s good to know that before any work is done on pot holes the area should be cleaned first. I’m kind of interested to learn if there would be a specialized tool professionals would use to make sure that the hole was thoroughly cleaned.